It’s Saturday night and I’m sat on the sofa with Andy beside me and the girls asleep upstairs. I wasn’t going to write my weekly ordinary moments post this week, because this week has been anything but ordinary. It has been a week that I don’t want to remember, a week that has been filled with more tears than I have known what to do with. Since I started my blog writing has given me so much, its my place for me to put all my thoughts and I just felt like writing tonight. I wasn’t sure if it had a place on my blog, a place that I am capturing all the memories of our life with our two girls. A place that I know I am going to love reading in the future. But life sadly isn’t all roses and if I didn’t write about it, there would be a big gapping hole when I look back. A hole that deserves to be filled by the most wonderful person that I was lucky to call my nan. 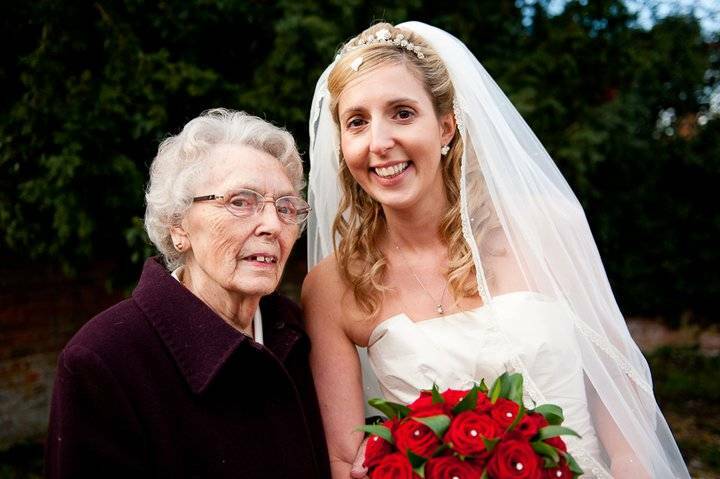 My beautiful, sweet, caring nan who sadly passed away this morning. Something that will never be described as an ordinary moment. But a moment that will be etched in my memory forever. A moment that we have been waiting all week to happen and a moment that has brought comfort to us all. Because now she is at peace, she is where she has wanted to be for some time now. And whilst the tears don’t stop falling, I can now start remembering the happy moments. And there were a lot of happy moments. She lived to be 95 years old, she watched her seven grandchildren become adults, she welcomed her eight great grandchildren into the world. This brought more joy and happiness into her life than anything. She was the person that understood me the most, I can’t find the words to tell you what she meant to me. Tomorrow is my birthday and Fathers’ Day too, a day of celebration, filled with presents, cake and laughter. My girls have spent the day with daddy, buying and wrapping presents and are so excited. They are my light in this period of dark. Yes, there will be tears because it will be the first birthday that my nan hasn’t phoned me to wish me happy birthday. But, I will also be strong for my girls and let them shower me with love, kisses and cuddles and know that my nan is watching over me and in a better place. Laura, my sincerest condolences on the passing of your nan x our thoughts and prayers are with you. Oh Laura, I’m so so sorry my lovely. Sat here shedding tears for you. Your nan looked like a lovely lady, Grandparents are so precious. Treasure those memories and happy moments as you say. Sending love to you all and happy birthday. Try and have a lovely day, you deserve to. Sorry to hear about your Nan. That’s a beautiful photo of you both. I’m so sorry to read this – but wow, 95 and to meet all her great grandchildren – girl done good!! My grandmas both knew that I was having my eldest but neither of them managed to meet him, they both passed away within less than two months of each other sadly. I’m so sorry to hear about your nan Laura. Grandparents play such an important part in our lives and it’s such a sad time when we lose them. She sounds like an amazing lady. Aww Laura I am so sorry for your loss and the timing too right before your birthday! You Nan looks so lovely and I am sure has provided you with so much and many wonderful memories. You did right to share her with us, to write this chapter of your life because loss is hard, it changes us, it affects for long after they have gone and as you say, to write about it simply helps too.